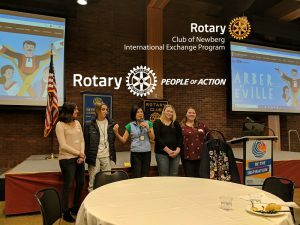 The lives of youth in our community will surely be bettered after the results of last Saturday’s 44th annual Rotary Wine and Adventure Auction, presented by George Packing Company, Inc. Mega kudos to the 2018 Auction Committee and all who helped put on a wonderful event and raise funds at the Allison Hotel. There was so much to take in! The pre-dinner entertainment featuring the drumming of Lake Oswego Rotarian Aaron Nigel Smith and his two sons. Strolling the silent auction rooms with fabulous wine and other items that committee and club members worked hard to procure. 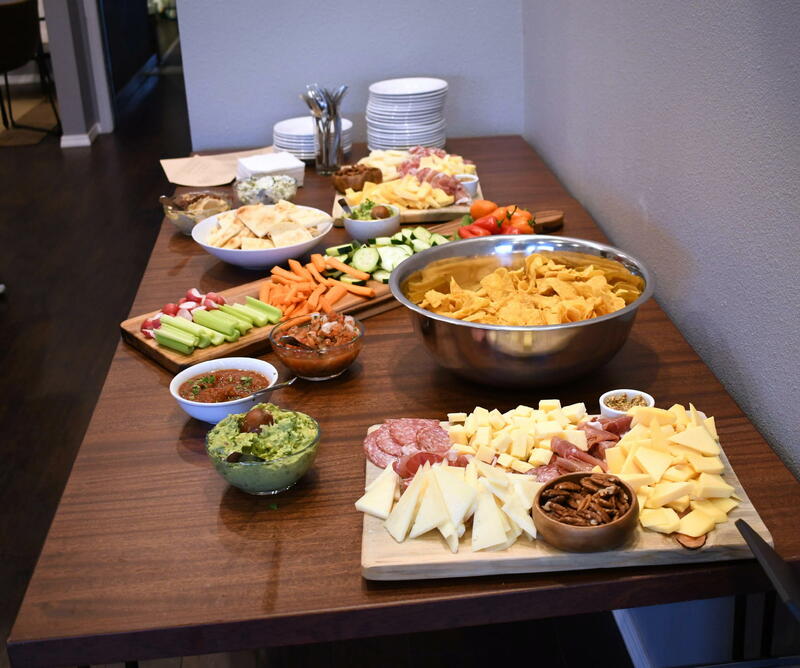 Sampling the tasty hors’deuvres, wine and beer. The fun photo booth. The very nice addition of media personality Mike Donohue as emcee this year. And the outstanding job that Matt Willcuts did as auctioneer. 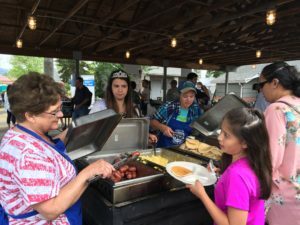 Special guests included District Governor Renee Campbell and her husband, and Assistant District Governor Larry Hatch and his wife. State Senator Kim Thatcher attended as well. Denice Bacon, Chair; Linda Potter, auction administrator; Mike Boock, Jack Czarnecki, Todd Engle, Geoff Gilmore, Leah Griffith, Karl Hughes, Karen Jones, Lisa Joyce, John Kerekanich, Jeff Lane, Tony LeLack, Ashley Mumm, Stephen Palmer, Beth Pent, Paula Radich, Om Sukheenai, Spike Sumner, Laura Tilrico and Corey Zielsdorf. 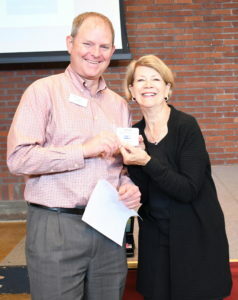 Michael Brand, president of the Oregon City Rotary Club, was introduced by Shannon Buckmaster as our speaker last Wednesday. He will also be a keynote speaker at the upcoming District Conference in Salem in May. In preparation for our upcoming club visioning session, he gave us a lot to think about in terms of the future of our club. Informality. Younger people are looking for less structured activities and fewer barriers to entry. Michael asked us to reflect on whether some of our club rituals could be barriers to new people. He also asked whether having a weekly speaker is necessary. Might it be better to occasionally facilitate more meaningful discussions around a topic? 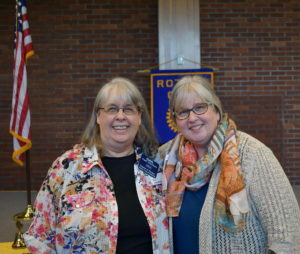 Gail Watson, left, is congratulated by Past President Leah Griffith for becoming a “Friend of Rotary.” Gail is a graphic designer who has been very active in the community and with the Chamber of Commerce. Welcome, Gail! 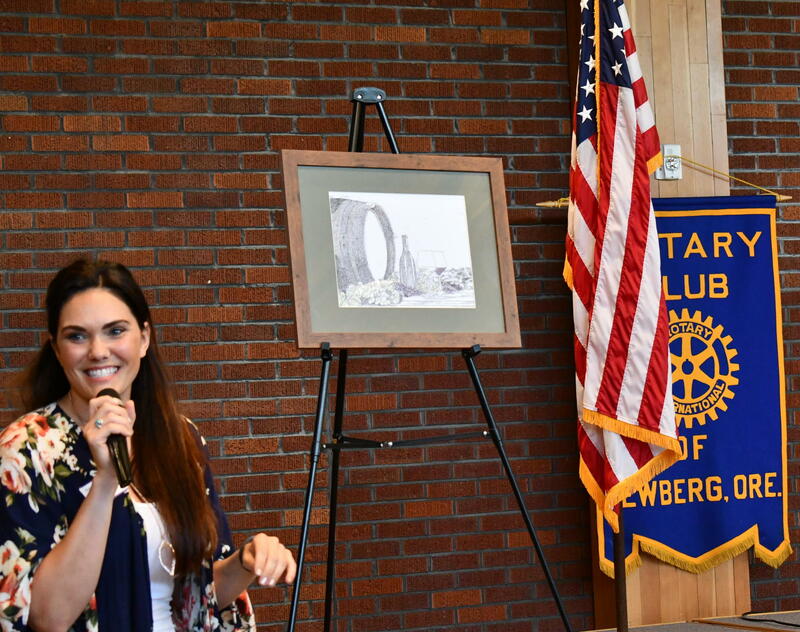 Local artist Sarah Miller was a guest of Corey Zielsdorf. Sarah donated an unusual, beautiful print to the auction focusing on wine, but all done in song lyrics. Josh Rojas, a candidate for Yamhill County Commissioner, was a guest of Leah Griffith. 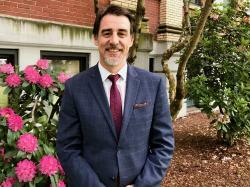 Josh serves young people as a care coordinator for Yamhill County Health and Human Services. 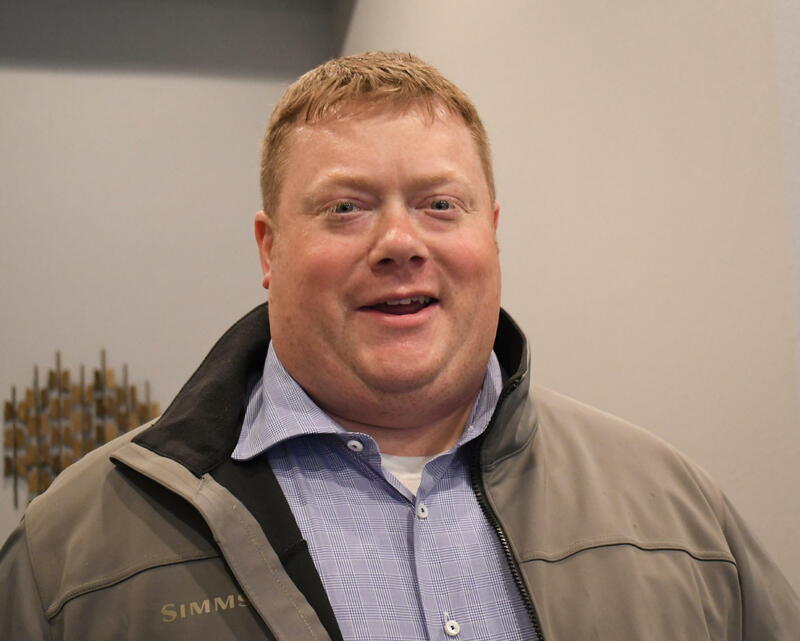 He’s also president of AFSCME Local 1422 and one of three candidates challenging incumbent Stan Primozich. Casey Hosteler was a guest of Shannon Buckmaster. Mike Pollack brought his co-worker, Christopher Wright, and his boss from Helping Hands, Alan Evans. Join us at the Cultural Center to learn about the “Every Child” program. “Every Child” is an organization that seeks to mobilize Oregonians to care for children and families in crisis, in partnership with the Department of Human Services. Guest speaker will be Shelly Winterberg. 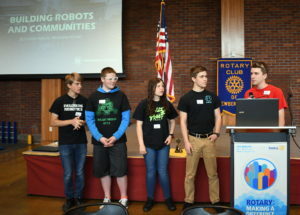 Robotics Team members, left to right, Paul Sperling, Christian Evans, Catherine McCarthy, Peyton Delp and Quentin Comus. 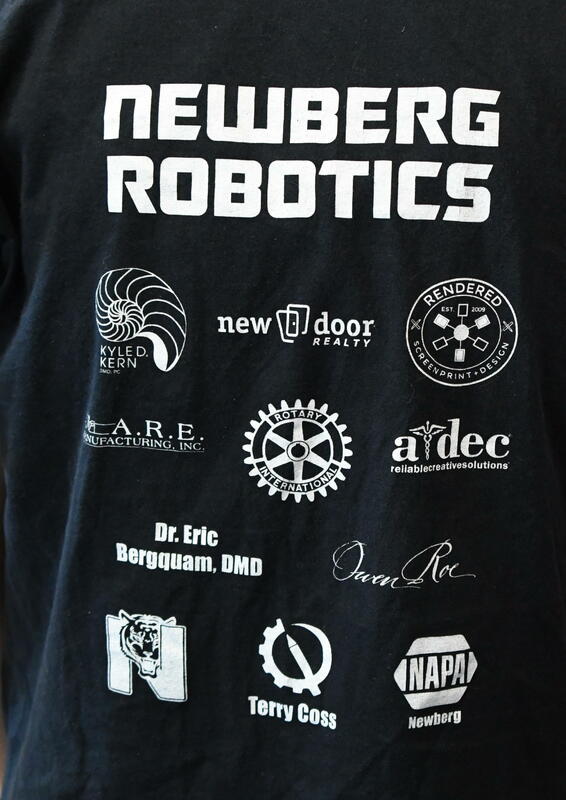 One of the wonderful local projects our club supports is the Robotics program at Newberg High School. Members of the school’s two Robotics Teams–named Kronos and BulletProof– paid us a visit last week and it’s always fun to see what they are up to. Quentin Comus, left, and Christian Evans discuss the robots. The 2017 competition was themed “Relic Recovery,” and had Indiana Jones-style objectives. Robots could stack glyphs, move relics over walls and balance them on plates. 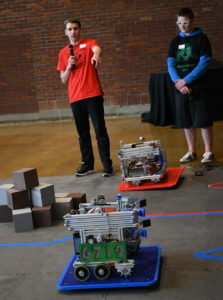 In the process of developing these robots, students build skills in drafting, computer coding, machining, teamwork and leadership. 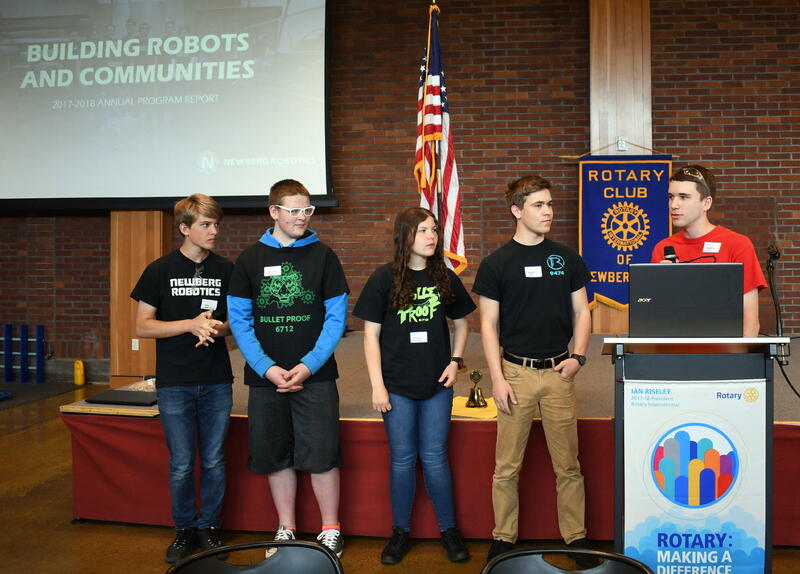 In addition to building the robots, students also designed community outreach presentations, robotics lab tours, camps and projects that provide young people with the opportunity to engage with STEM activities. In the 2017 season, the Newberg program connected to over 250 younger students. In the future, they hope to reach more than 1000. Thanks to contributions from the community and nationwide supporters, this year the program received new smartphones, desktop computers, laptops, a printer and robot parts. WHAT’S NEXT FOR THE PROGRAM? 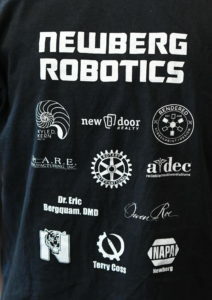 The kids thanked Rotary for its participation in the program and displayed this tee-shirt of sponsors. President Todd Engle made it official with a presentation to Ann Dolan– our club’s first “Friend Of Rotary.” Ann and her husband, Bill, had just returned from wintering in Green Valley, Arizona. 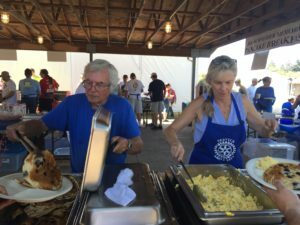 The primary role of the Friends of Rotary program is to provide an opportunity for community minded people to be connected to our club. In addition, Friends of Rotary then have a vehicle through which to volunteer their time, and become involved in their community. 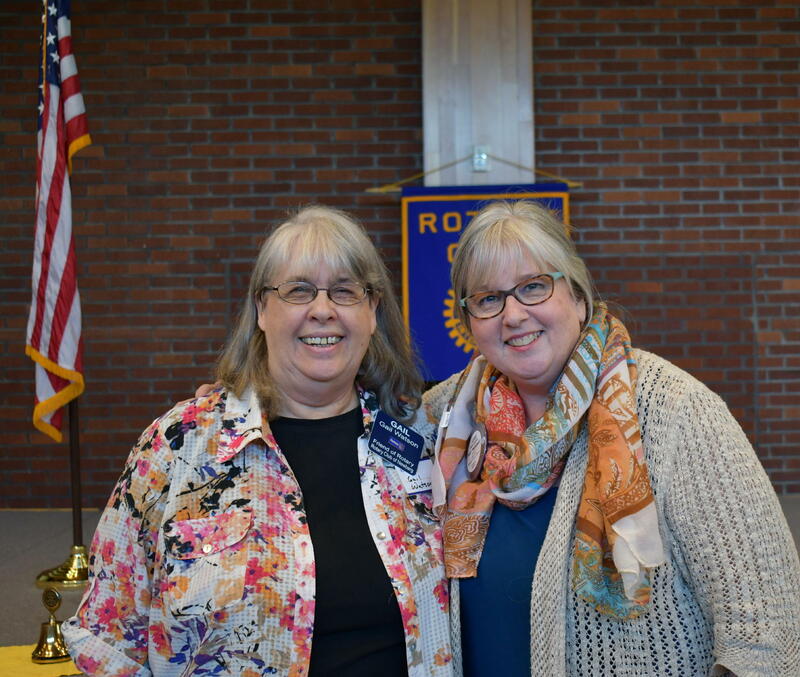 Ann already has a long track record of volunteerism with our club. Congratulations, Ann. IT’S TIME FOR THE AUCTION! 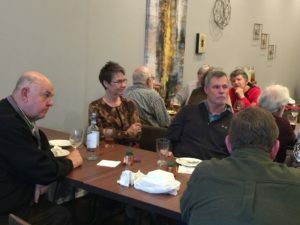 Auction Chair Denise Bacon and her committee deserve huge kudos for the tremendous job of organizing this year’s event, “EXPERIENCE YAMHILL COUNTY: WINE FOOD FUN. Plan on a very special evening this Saturday at the Allison Hotel at our major fundraiser for projects benefitting the community, including scholarships and so many more. MAY 3 Come give your ideas and input on what our club should be like 5 years from now. A vision for the future will be developed from 5 to 9pm at the Springbrook Meadows Community Center. Food will be served. Don’t miss this opportunity to contribute to developing our future direction. MAY 12 Help cleanup at the Friends Cemetery in preparation for Memorial Day activities. Contact Jeff Lane for further details. MAY 16 3pm Open house for YOOP, Youth Opportunity Occupations Program. YOOP is a Chehalem Youth and Family Services program dedicated to serving youth ages 16 to 21 of Yamhill County. At Yoop, youth can receive help gaining their high school diploma, GED, or pursing other career pathways. Youth can also receive assistance with job skills; including resume building, job searching, and interview skills. For complete info, please contact Deborah Cathers-Seymour. MAY 18-20 District 5100 Conference in Salem. For more info or to register, go to the Rotary District 5100 website. 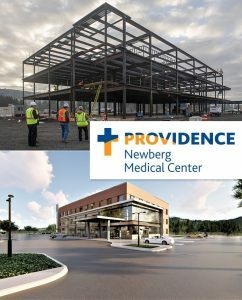 MAY 19 Newberg Water for Life 6K. A family event. Each registration of $50 brings clean water to one person in need. Register at worldvision6k.org or see Dale Welcome for more info. 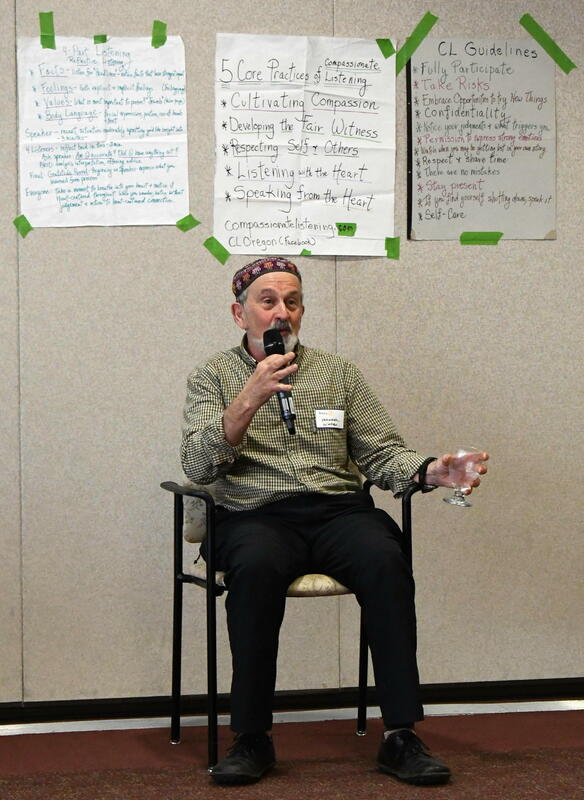 Should be inspirational and will serve as a prelude to the upcoming visioning process. Come hear Michael Brand discuss “Making Good Nonprofits Great” at the Cultural Center. 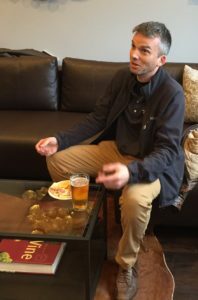 Grant Austin helped organize last week’s event. Thank you, Grant! Laura Tilrico (and her husband) attended. Instead of our regular weekly luncheon program with a speaker, we enjoyed “Happy Hour” at the Barley and Vine Tavern last week. 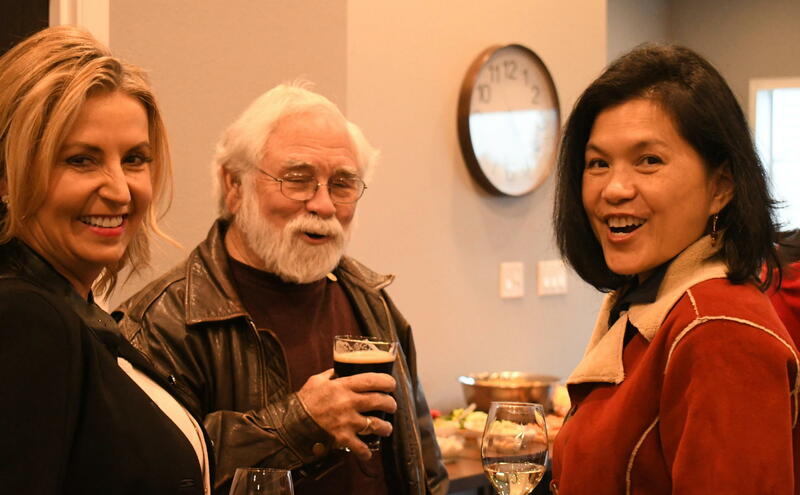 Special kudos to Grant Austin and Om Sukheenai for organizing a fun, change-of-pace social event. Following are some photos from the evening provided by Auggie Gonzales. Quite a spread of delicious appetizers! Jan Winder, left, Walter Want and incoming club president Om Sukheenai enjoying the evening. 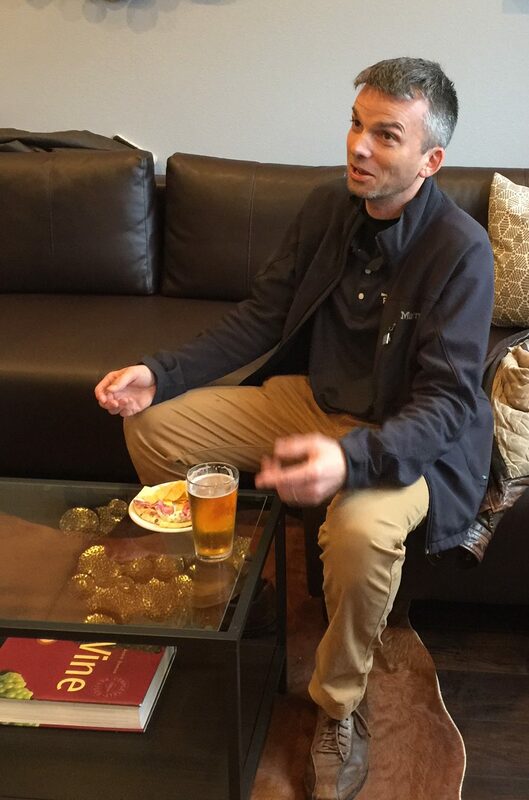 Corey Zielsdorf took a seat on the Tavern’s couch. 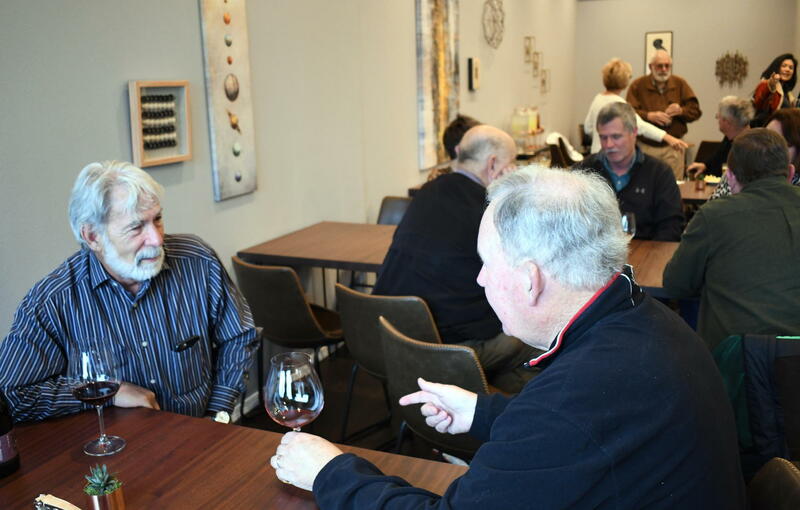 Mike Caruso, Beth Pent and Jim McMaster relaxing over a glass of wine. Ken Winder, left, chatted with Spike Sumner. THE AUCTION IS A WEEK FROM SATURDAY! Just a few hours of your time needed! 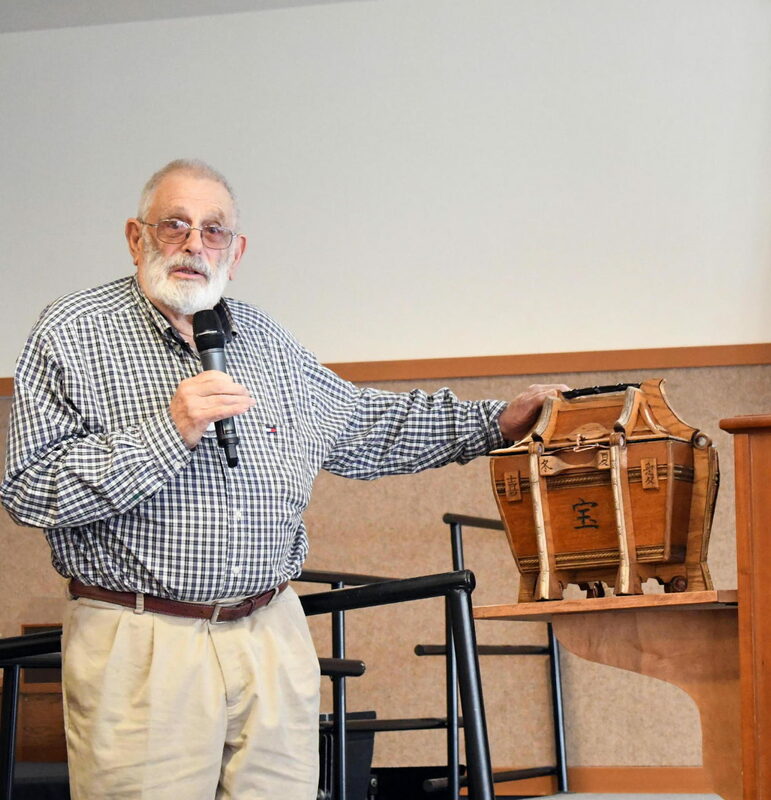 Rick Kaufman discusses the Edo box he made and is donating to the auction. Time is almost up– be sure you have your tickets, your Golden Tickets and you have made your donations! Rick Kaufman has donated a very special item that he crafted by hand: An Asian-themed Edo “secrets” box. 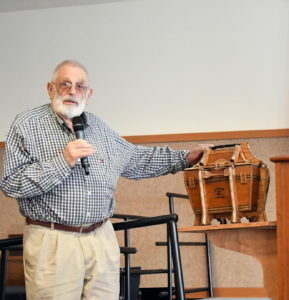 Rick gave an overview of the box at our meeting two weeks ago. You simply must take a look at this to appreciate the care and design Rick put into an item you won’t find anywhere else. Last week’s program was developed around Rotary’s “peacebuilding” Area of Focus. 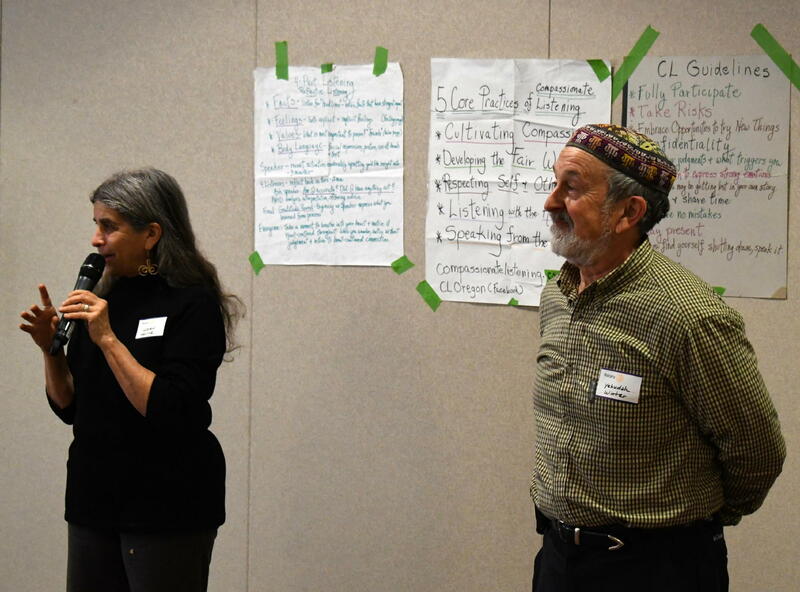 The ability to communicate effectively is an important peacebuilding skill. And active, compassionate listening is an important aspect of effective communication. Our meeting featured an interactive exercise to learn about the principles of “Reflective Listening,” and to try them out. 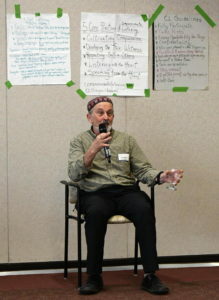 Yehudah describes a situation for the group exercise. –First, for facts. The listener repeats what the person has said and checks for confirmation that the important parts of the communication were heard accurately. –Second, for feelings. The listener expresses the feelings heard and experienced, and asks the person for accuracy. –Third, for values. The listener expresses the heart-held values heard and asks for accuracy. –Fourth, for body language. The listener observes the speaker’s body movements, including head, hands, posture, energy, timing and use of space. Club members sit in a circle to practice listening skills. Casey Kulla, an organic fruit and vegetable farmer from Grand Island and candidate for Yamhill County Commissioner, paid us a visit. 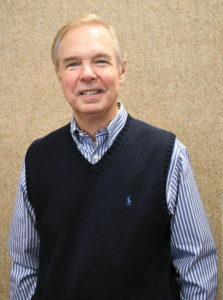 Mike Donohue will be the auction emcee. Exciting news! 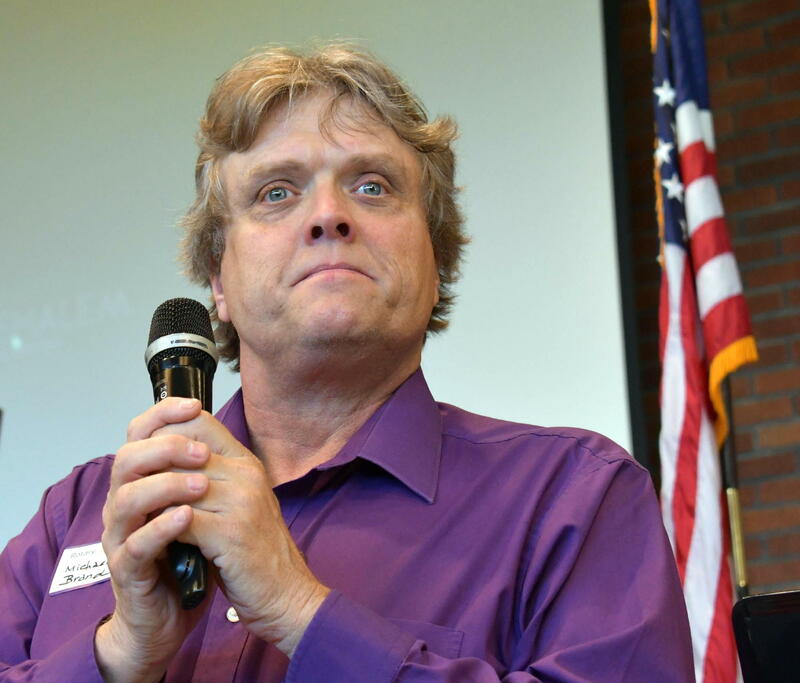 Filling the shoes of John Kerekanich this year will be well-known television personality and now Newberg resident Mike Donohue, who will be our emcee. Matt Willcuts will be the auctioneer for the big event. Leah Griffith reported that 70 silent auction items are still needed for the April 28 auction, so if you can donate, please do now! Also, sales of Golden Tickets (which are $100 each and provide the selected winner a chance to pick any oral auction item before the auction) are a little slow. Time to buy! Jim McMaster reported the new Aquatic Center is nearing completion. He plans to arrange a special tour of the facility for club members soon. Rachel Huber will be out on medical leave for 8 weeks due to a surgery…..wishing her a successful procedure and speedy recovery. Club President Todd Engle and his wife just had their 35th wedding anniversary….thanks to Todd’s mother-in-law, who reminded them of that fact. Both Todd and his wife had forgotten about it! And Walter and Julie Want have returned from celebrating their 52nd anniversary– in Paris. 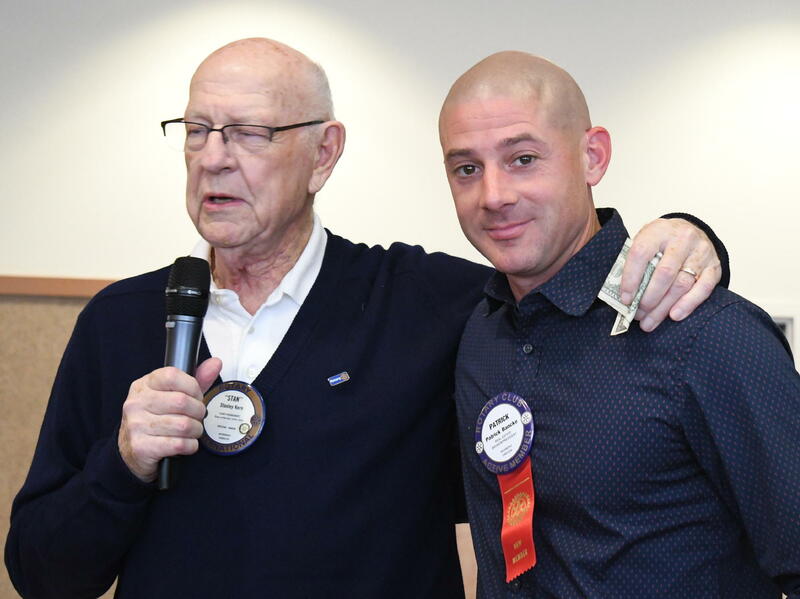 Dr. Stan Kern declared that he and Patrick Bancke (both at right) were the “oldest and the youngest” members of our club!